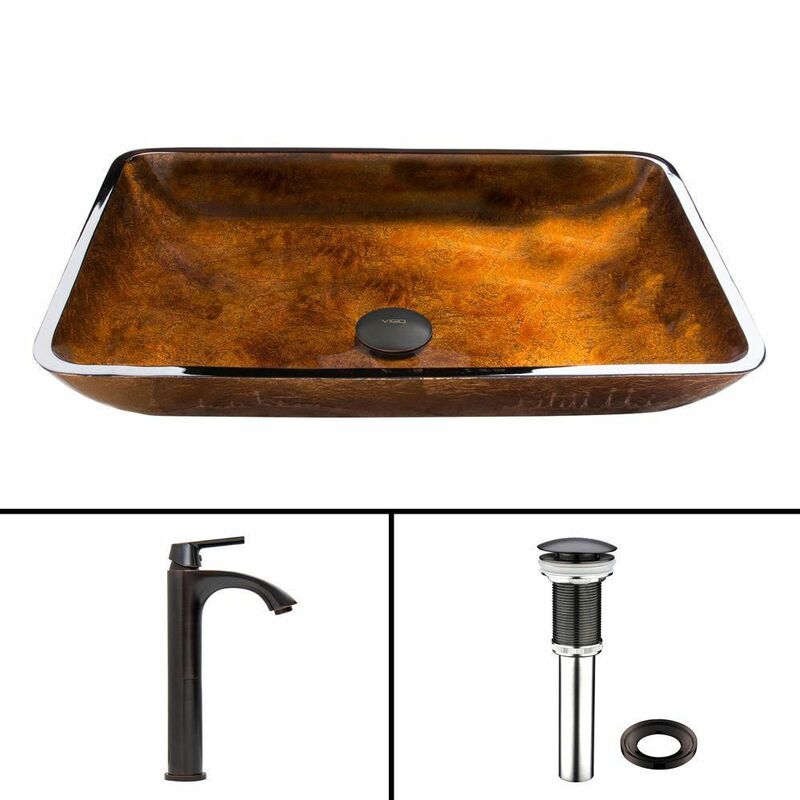 Rectangular Glass Vessel Sink in Russet with Linus Faucet in Antique Rubbed Bronze is rated 4.3 out of 5 by 3. Rated 5 out of 5 by SteveM from RainX is your friend. After the sink is installed, and before the first drop of water hits it, applie two coats of RainX to it. Clean the sink once a month with a window cleaner or a foaming bath cleaner, and reapply the RainX to keep the sink spot free. Rated 4 out of 5 by wirefox from Looks Good! Great set up, but the cartridge started leaking within weeks. Rated 4 out of 5 by Joysworld74 from Beautiful I just purchased so have not used it yet however, it has been a bit of a challenge to install, as it seems to be leaking around the vessel hole onto the countertop. I may have overtightened, not sure yet, but was looking for troubleshooting guide but have not found one on the site.